Our current culture shows us to just simply discard the old electronic devices the moment we get the new one so in the constant upgrade culture recycling might not seems like a top priority. However, these practices can often lead environmental issues. 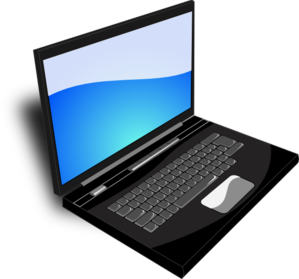 Computers, laptops and servers contain materials that are not very environmentally friendly. Our goal is to take away the hassles of donating and re-using by giving you complete assurance on secure data destruction solutions in London and UK. How to recycle old computers in UK London ? Newer, faster and more powerful devices keep popping up, and in turn the technology we were previously perfectly happy with gets cheaper and cheaper. However old computer items if not recycled properly pose an environmental liability. For those items not suitable for re-use, resale or donation our recycling partners have a process for taking the old computers and monitors apart, splitting everything and sorting it into plastics, glass and different types of metals. These materials are all sorted and sent off to be reclaimed either by melting or smelting down into their purest form so they can be used to manufacture new products. If you are interested in computer donating, re-using, recycling in London UK Socialbox is the answer if you’re looking for efficient, secure and Eco-friendly solutions. Socialbox covers the whole of the London and United Kingdom for computer donating, re-use, recycling or disposal, we also can make sure your old computer equipment is put to good use on behalf of business clients boosting your firms Corporate Social Responsibility efforts. Our priority is to put your old laptops to to good use via donation programmes to one of the partner charities via our Digital Inclusions programme here in the UK. It is so important we take steps to preserve our environment and prevent things that are not so environmentally friendly from permeating its surface. It’s a really admirable initiative SocialBox.Biz is taking here. Our culture’s short attention span for new technology results in massive amounts of laptop, routers, servers, etc piling up on our land. Based in London, this social business venture is taking redundant corporate laptops, business computers, and donating them locally. SocialBox.Biz is taking Corporate Social Responsibility to the next level by permitting these corporations to donate their still working but no longer needed tech hardware and re-use it in an environmental way. Partner with these guys and spread the word with your friends so we can turn the whole UK into even more responsibly clean environment. it is very important factor to help keep the environment clean and safe.. arising from this is a very unique idea which will help the people via donations of old but still useful laptop computers and computer hardware from businesses and the public sector. Thank you for answering my question – How can I donate recycle my old PC computer? this really is an excellent article that explain in simple terms how to do something positive with what otherwise would become a liability. Our laptops are being replaced and we’re located in Liverpool with offices in Manchester and Glasgow. When we’ll decide on a model we will need your services to donate old but still working ones. We already have an option to donated laptops and computers in Glasgow. Do you have an estimate of how long it will take to collect the laptops? I’m really glad I came across your website. I have always been one to reuse or recycle things if at all possible since I like the idea of keeping my carbon footprint small. I feel we should take good care of this beautiful planet, and while some people are careless and take their environment for granted, that will never be me. Being able to recycle laptop computers is a great thing. Computers, printers, etc are items that I assume would sit in the dump for eons before starting to breakdown. The fewer computers tossed in the trash the better. I’m glad to know that Socialbox.biz is an environmentally friendly company. I’ve often asked myself how can I give away my old kit, but unfortunately they just end up sitting in a pile in the corner of my room. When I get an upgrade on something like a cellphone, the older one automatically sits around and collects dust. I’ve been holding back from doing anything with them because I don’t know the proper way to deal with laptop computers, so I’m thrilled to have come across this information! It’s also refreshing to see a company who cares so much about protecting our environment as well. I had no idea that Socialbox provides computer donation services! When I came to this site I thought it was just a place to get some information on how to recycle my old computer, but I see that you take it one step further and actually provide an eco-friendly charitable donations to accomplish this. Thanks so much for making this process an easier one for myself and anyone in the London and United Kingdom area who needs to do this in a responsible way – I’ll be passing along this information to a few friends of mine who could also use your services! I really want to do the right thing for the environment, which would not be tossing the computer in the bin especially if its still working. If there’s a way that it can still be useful for someone else, or at least taken apart and recycled, I’d feel a lot better about upgrading to the latest and getting rid of the old. Thanks for an informative post – glad I found it. This can value to businesses that are serious about their impact on society. Trying to work with the local community in the best solution – well done ! Donating old laptop computers is an excellent idea! I’m sure a lot of the computers that people no longer use for one reason or another still have plenty of parts that work perfectly fine and could be reused. Our environment is already being damaged enough as it is without adding more on top of that. This is a great post. I hope this thought process catches on with a lot of other areas. Unfortunately it really is an all too common practice that when we get any sort of new device, our older ones are very carelessly discarded. And it’s absolutely a problem that when people do discard old devices, they have no idea how to do it properly. Too often we choose the easiest and most convenient way because for some, it’s too time consuming to make the effort to learn how to do this the right way. But it’s a responsibility that we all have to adhere to. If we’re going to own electronics, we have to know how to take care of them not only when they’re in use, but once we’re done with them. I’m glad that a laptop computer donations options such as this one does exist, and that it’s making a noble effort to get the word out to those who may not realise how destructive it is to carelessly discard our old electronic devices. Other companies really need to get on board with this idea. Maybe providing a bit of an incentive could get more people involved? I know that people should not have to be convinced, but sadly that’s just the case sometimes. For example, my mobile phone provider accepts old devices once you upgrade, and if you do recycle your old phone then they will give you a credit to your account. No one should really need this service in order to properly do it, but sometimes people just need the push. So maybe it’s an idea that more and more companies will adopt, so that recycling old electronics will become a common occurrence. Sometimes it isn’t even recycling that could be the best possible path to take, but rather donating. There are many people, as well as organizations, community centers, etc. that could greatly benefit from donating your old electronics. Yes, sometimes technology becomes a bit outdated, but for someone who doesn’t have access to any technology at all, I’m sure they will appreciate and make use of whatever they can. So it’s important for people to realize that even if old technology isn’t good for us, that doesn’t mean it isn’t good at all. So, donate if you can! Of course, there are some devices that are just far too old to be of any use whatsoever, and in that case recycling is wonderful, but if you upgraded your computer out of want rather than out of need, and your old device still has some use left in it, someone else would love to have it! All good things to keep in mind here – thanks for providing this! I truly wish that people understood just how detrimental our actions to be to our environment. You’d be surprised at how much of this material really is not at all environmentally friendly in the least. What our environment needs is more companies like yours that take away the hassle of donating these items, because I believe that the inconvenience of it all is what holds people back. I also think these working phones and laptops are very much useful to someone else and there needs to be a lot more education on the subject, because if people realise just how badly it can hurt our planet, I would like to think that they’d be far more inclined to do their part to protect it. So I’m happy to have found a company and website such as Socialbox that will not only get the word out and make people aware of how desperately we need to reuse, recycle, and/or donate old still useful items, but will also help people in accomplishing it. This is a fantastic start, but there’s more to be done and it will take all of us to do it. People need to be made aware of the condition that the world is in today. Just this afternoon I received a notification on my phone that NOAA has said that 2015 was the warmest year on record since they first started recording temperature in 1880. It’s a problem. And yet there are still people who deny that our environment needs help. We all have a responsibility and it makes me unhappy when people purposely neglect it. One of the biggest things that allows people to neglect it is a sheer lack of knowledge on the subject, so I’m happy that there are people trying to combat that. A quick search will easily inform people of such a hazard. So thank you, Socialbox, for taking the initiative here! I genuinely hope that more companies and more consumers will follow suit so that we can all do our very best to reverse the damage that has already been done to our planet, and pledge to do everything in our power to prevent any more damage from happening. Hi my name is Denise and I just wanted to drop you a quick note here instead of calling you. I came to your laptop donations page and noticed you could have a lot of very sensible information on your website about positive benefit to community from old laptop computers and other business office items. I have found that the key to running a good website is making sure the visitors you are getting are interested in your subject matter and you are providing valuable information. Well done. Great job, you guys! I love this social movement across the globe as we head into a new phase of corporate social responsibility. Some people are setting aside profit gains for the betterment of the planet (the planet we are so quickly depleting of resources and health). I’m going to have some electronics to recycle soon. If I lived in London I’d definitely be contacting you guys. Thank you for taking an initiative to help the homeless AND the environment! thanks for information on donating working older models of laptop for local charitable causes, how can we have some collected from an office in London ? Please let me know if you’re looking for someone to help you with your blog on computer hardware and laptops donating in London. You have some really good posts and I think I would be a good asset and would enjoy this. Usually, computer rack equipment, server racks, and wall mount rack units are difficult to recycle as well as computer servers. Definitely, what a magnificent website and illuminating posts, I definitely will bookmark your website. All the Best! Keep working hard ,terrific job! Glad to have discovered fascinating article like yours. Also as someone previous commented mentioned it good to know about donating Laptop for charitable social enterprise an use and the local community in the UK as manufacturers like Apple, Dell, Acer, ASUS, Hewlett Packard, Lenovo, Samsung Sony, Toshiba, PCWorls, Dixons, Currys etc all already do a good job recycling and disposal for WEEE – Waste electronics recycling directive for businesses, corporations, councils and individuals…but there is very limited information about how to donate and donations ! so thank you for this. Reuse extends the life of a working computer give your old computer a second life so it can create opportunity for someone else. Used computer will help someone in need. We need send refurbished computers to someone who needs or donate it while they are still useful. Companies large and small in should donate their disused computers and IT assets and make information technology accessible to disadvantaged communities and I think we can accomplish this mission by providing refurbished computers. I’ve come organisations donating websites to charitable groups but computer donations and technology training is really a great thing because without a computer its hard access any websites and we need to provide computers and technology resources to local communities in need. Thank you. Thank you Londoner Bob now I know where and how to donate my old laptops to for good causes, its good to find an easy way for to donated disused but still working unwanted laptop whilst also doning some social impact in the process. For these reasons it is the number one choice for the conscientious minded amongst us. Previous Previous post: Paper mountains at your office?